This charming open concept farmhouse offers everything you&apos;ve been looking for. From the tiled entryway, the main floor features nicely remodeled kitchen & dining area, spacious living room w/ bay window, large main bdrm w/ walk-in closet, and secondary bdrm, two bonus rooms for study/office or pet space. Second floor includes 2 more bdrms w/ hardwood floors and great storage, plus full bath. No worries about parking and belongings! 2 car garage has loft storage, a 32x60 pole shed will house recreational toys, and there is a 34x32 barn w/ all sorts of options. With over 3 acres, there&apos;s plenty of room to run around or enjoy outdoor gatherings. New mound system, drilled well, and several other updates make this a home to move into and enjoy, but there is still room to put your own touches into it. 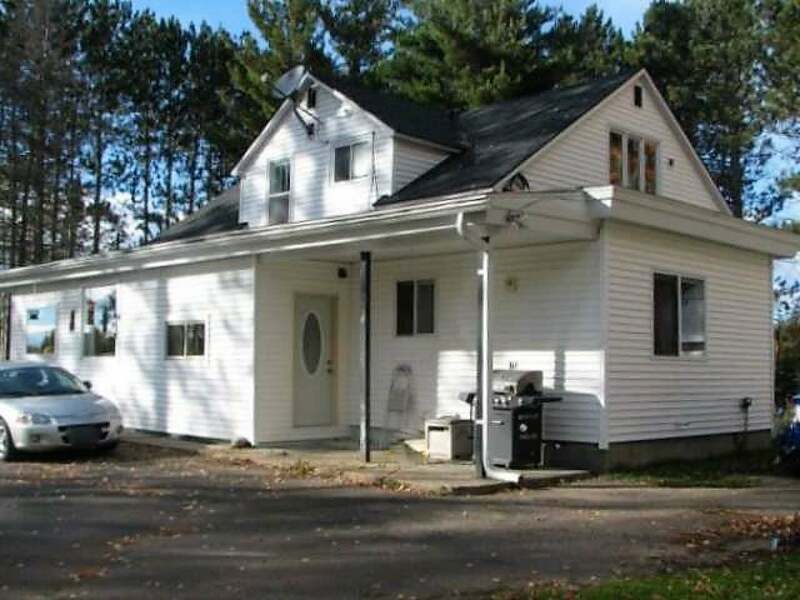 Located conveniently just west of Tomahawk and a few miles from Hwy 51 for easy traveling. The snowmobile trail is directly accessible, and the Spirit Flowage is just few steps away.